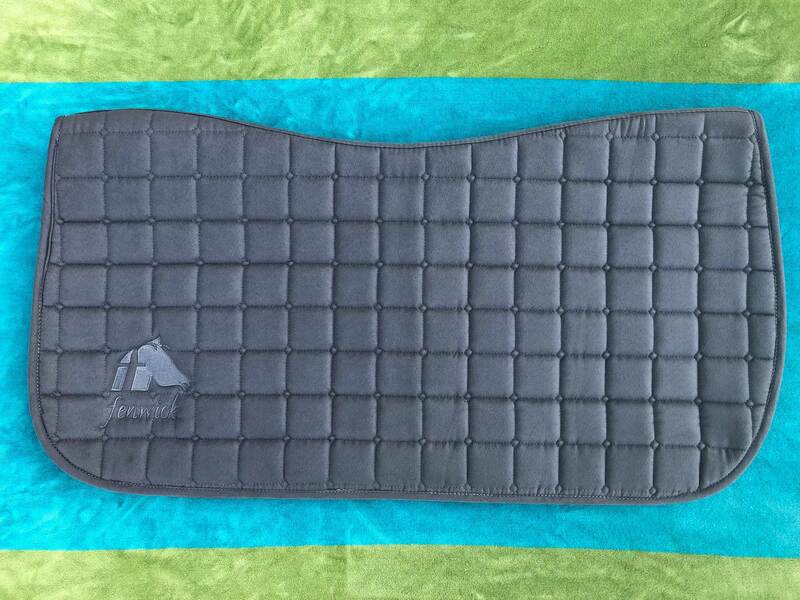 Fenwick Equestrian has designed a lightweight, universal saddle pad combining therapeutic fabrics with luxuriously soft, high performance EquSuede. The combination of the fabrics prevent the saddle from slipping without the use of irritating billet straps and helps keep your horse's back drier and more relaxed. Also, horse hair does not stick to our fabric. 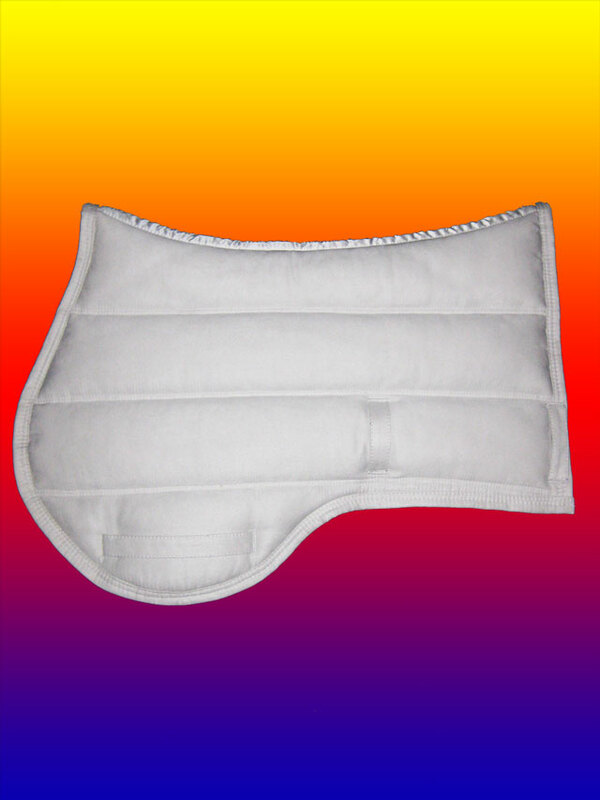 We suggest you use this pad "under" your favorite western felt or Navajo pad since it is machine wash and dry. It will protect your expensive western pads. "A well fitting pad helps your horse preform better!" Our Far InfraRed fabric enhances the body's natural ability to heal"
Fenwick's Liquid Titanium also produces Negative Ionswhich have been proven to make us feel better by providing us with more energy and a positive mood. Think of when you are at the beach and the air smells so clean, or after a rain shower and everything seems so fresh. This gives you an idea of what negative ions can do for you. Then, think of how you feel being in a centrally heated or air-conditioned office all day, every day. You can't wait to get outdoors and breathe fresh air! A horse living in a stall in a city is like us being in an office all day and night. Statistics have proven that when an ionic air purifier is used in offices, people's performance increases by 25%. We can only absorb 15% through breathing, but by using the skin to absorb negative ions, we can absorb up to 100%. 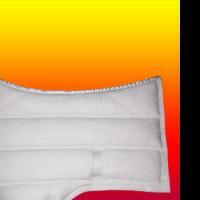 A breathable polyfil provides excellent support and comfort for the horse & rider. 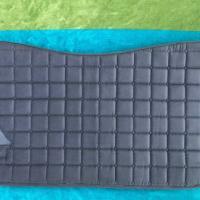 The combination of these fabrics enables your horses’ back to dry much more quickly. "A dry back is a healthy back!" 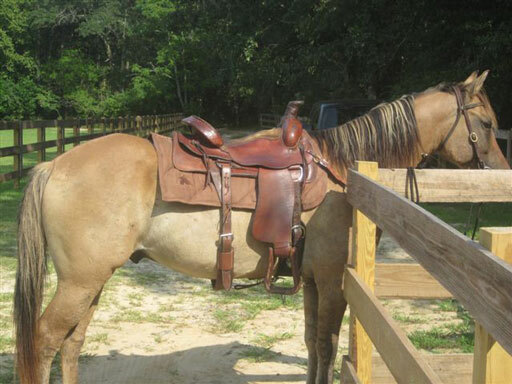 ***Pictures of my western saddle show the mocha pad directly under the saddle to show the actual size. My saddlle is 24" (front to back). 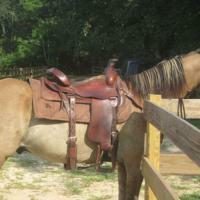 I then have a picture of the pad under the Navajo with the saddle. The under pad is not visible but will help keep your expensive pad cleaner and your horses' back drier. 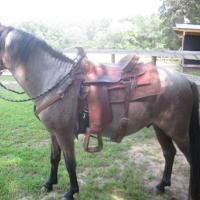 ***My saddle was made by Larry Coates of San Angelo, Texas. Thanks Larry, great saddle! 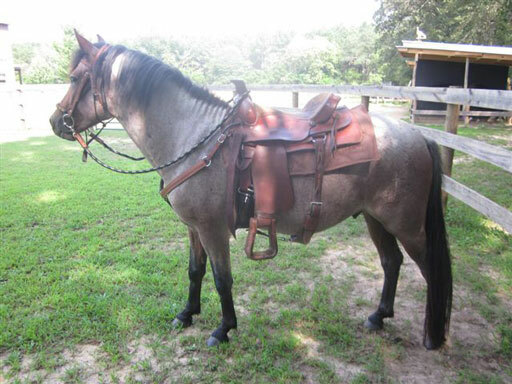 Give your horse an EDGE with saddle pads!